Last week, I had the pleasure of talking with Keisha Goode, PhDc, who is unfortunately unable to present her dissertation findings at the upcoming 31st annual Midwives Alliance Convention on Birthing Social Change due to a last minute family emergency. Luckily, I got to talk with her extensively about her work, and you can view her slides here. Her presentation “In Their Own Words: Experiences of Contemporary Black Midwives in the United States,” addresses experiences of race and how perceptions of race impacts how we address creating social change, equal access and providing quality health care for all women. Kate Dimpfl: Let’s start off by talking about how you came to this work. What drew you to talking about race and racism in midwifery? Keisha Goode: I started as a literacy teacher and when I thought about doctoral education, I first thought about connecting maternal education and literacy amongst black students. However, something about it didn’t move me. Then I started to explore black motherhood in general and then as it relates birth, I noticed the historical midwifery literature for black midwives focused primarily on granny midwifes. Out of my own curiosity, I started to look at what was happening with black midwives now. I was fascinated by how relatively few, black midwives currently are operating in the US, especially in terms of history, and I wanted to figure out why. KD: How do you think our current system of midwifery training and education impacts entry into the field for black women? KG: I was surprised to discover that regardless of age, [black women’s] perceptions of midwifery education and access to education were pretty similar. I think that a lot of progress has been made, but one thing that strikes me is that issues of “belongingness” are still present. The feeling of trust or care or respect for black students in education is a consistent issue. 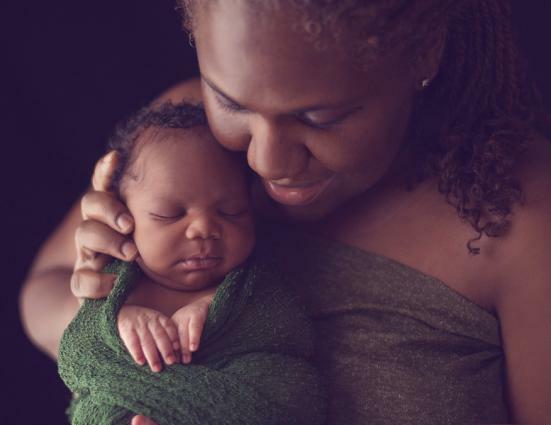 If a goal is to diversify the core of midwives, there has to be a space and acknowledgement that racial diversity is a real issue, and then how do you navigate that head-on in midwifery programs? That looks like having people of color teaching and working inside of midwifery programs, even online. People have to see someone who looks like them. Race can’t be the introductory class, but needs to be deeply imbedded throughout the curriculum. This means having difficult but essential conversations about race. But to move beyond diversity initiatives to become more substantive, it needs to starts with acknowledgment that there is an issue and putting more structural things in place to address it, like addressing race throughout the curriculum, scholarships and funding for midwives of color, access to mentors or preceptorships. KD: Let’s explore some of the research outcomes you wanted to highlight in your presentation. How do black midwives experience the current healthcare crisis? KG: I think [perceptions of the health care crisis in the US] are similar to other racial groups, but the main point I wanted to make in that part of the findings, is similar to how black midwives also interpret the high black maternal and infant mortality rates. Simply put, race is so deeply imbedded in every aspect of our society and social institutions. Access to health care and quality of health care are so deeply connected to race and has real outcomes. Being black and pregnant is very different than being in another racial group. I was fascinated by stories from the midwives of how the everyday living as a black pregnant woman impacts her health, her baby and the birthing moment. Issues of mortality and morbidity are related to social interactions as well as other maternal health issues. (Here is a good clip from Michael Lu, MD that also illustrates this point). KD: How can we support black women to overcome real racial challenges in her pregnancy and her ability to access midwifery care? KG: It is hard to implement “eliminating racism” as a tangible policy change, and while policy helps with access to care, that isn’t the full issue. There is an opportunity to shift the framework of how black women see black midwives and to encourage black women to see it as an option for safe, quality care. It is truly a lack of awareness that midwifery care is an option. Positive images in the media help. Diversifying the cultural imagination of black women perpetuated in the media-reifying tropes of the mammy, “angry black woman” and the like-do little create space for counter-narratives, i.e. the level of experience, education and professionalism that is midwifery. KD: You shared some ways to counteract institutional racism in midwifery education. Would you apply any of those techniques to shifting these larger cultural perceptions of black midwives? KG: When women are pregnant they need to see images of black midwives. There is a huge absence of these images in shows like The Baby Story or even in stock photos. At first I thought this point seemed small, but we see so many images in a day. To see images of black women birthing with black midwives inside or outside the hospital is powerful. We also need a prominent spokesperson for women of color and midwives of color, much like Erykah Badu is doing for the International Center for Traditional Childbearing, or like Ricki Lake is doing for homebirth. Also the researchers or policy makers who are invested in talking about race- and they don’t have to be black- need to address how to counter those messages in the media. We need more research like this, and more policy makers who are putting race as one of the pieces amongst other issues. KD: What are some of the biggest surprises that you have experienced in your research? KG: I was surprised that there wasn’t more cohesion among the various types of midwives, which creates tensions. I was surprised and saddened by the politics of the perceptions of the different types of midwifery, which can take away from access to and quality of care for women and girls. This speaks to a need for more clarity and collaboration to eliminate those tensions that prevent everyone from reaching common goals. This must first begin at the level of professional midwifery organizations. Another surprise was the overall feeling from the black midwives I talked to that the larger organizational conventions weren’t addressing things that were applicable in their own communities, so willingness to participate was less. There is decline in participation in these larger groups because their needs were not met, but they are missing the benefit to being a part of the larger organizations. One way to address this is to make sure that disparities are touched upon in a very real way throughout the convention, and it was good to see that the 2013 MANA convention seems to reflect that. KD: What do you want everyone to understand when it comes to black midwives experience in midwifery education? KG: Midwifery education, midwifery organizations, and research/policy would be my top agenda items. First, in terms of education, don’t make the mistake of advertising for black midwives or underserved groups without insuring that there are structural things in place: funding, scholarships, mentorship, faculty of color and race woven into the curriculum. For the midwifery organizations, it is kind of the same thing in terms of planning a convention: ensuring that what you are saying about addressing racial disparities-in policy documents, websites etc.- is translated clearly through the convention. That might look like diverse board representation, scholarships for black midwives, and making sure that conventions are safe and welcoming spaces to address race in a meaningful, substantive way. Lastly, in terms of research and policy, midwifery should have the goal of being more cohesive as a community to create legislative and policy changes as well as creating more opportunities for midwifery research. I see evidence of this happening and am very hopeful. KD: What do individuals at the convention need to have in their awareness so they are able to create better outcomes for black women in their own community? KG: Good question. I think the main thing is to understand the ways in which race and power are so deeply entrenched into midwifery and birth. The idea that midwifery is colorblind is an illusion. Acknowledging race isn’t being racist. Race has real impacts on black women and birth outcomes. The experience of black women working with a black midwife is going to be different- not better or worse – but different than working with a white midwife. I would also say that continuing to do the work of educating - that midwifery is safe, high quality, cost effective and that ground level teaching is important for everyone, but particularly for black women. York Graduate Center. With the advisement of Barbara Katz Rothman, she is completing her dissertation entitled “Contemporary Black Midwives in the United States: Experiences and Perceptions” which explores the impact of race and racism in midwifery education programs, organizations, and birth outcomes. She is a lecturer in Sociology and Women’s Studies at Lehman College. She earned a Master of Arts in Women’s Studies from the George Washington University and a Bachelor of Arts in English from the University of Maryland, College Park. Email Keisha for further information about the study. Kate Dimpfl, CCE, CD, runs Holistic Childbirth and works as a childbirth educator and doula in Ithaca, NY. When not talking about birth she is walking about town with her family. To learn more about Kate, visit: www.holisticchildbirth.org.